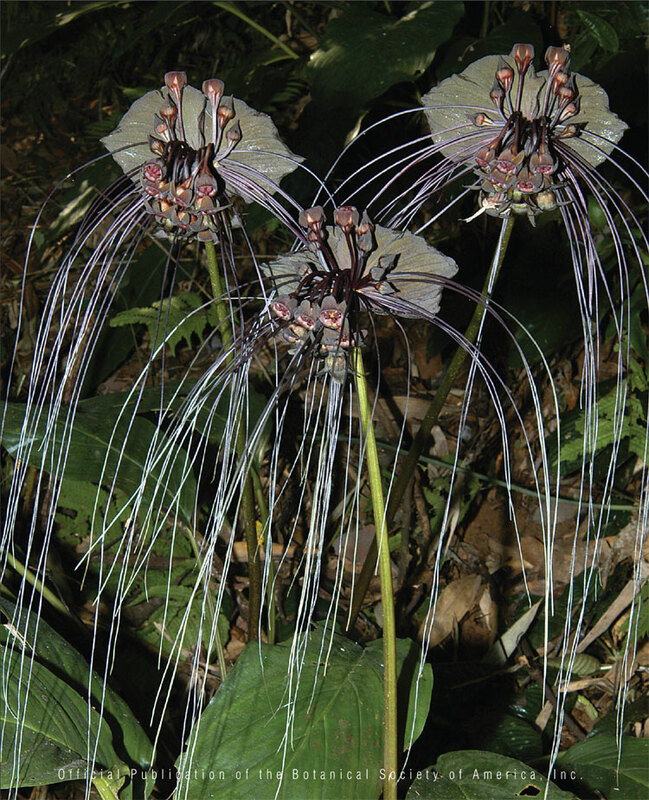 Tacca chantrieri in the shady understory of a tropical forest in Yunnan Province, China. 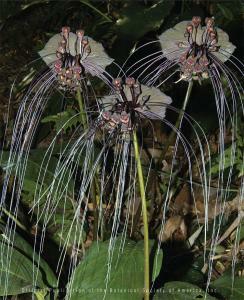 The striking floral display involves dark-purple pigmented flowers and bracts, and extended whisker-like bracteoles. In Tacca, these traits have been assumed to function as a deceit syndrome in which reproductive structures resemble decaying organic material attracting flies that facilitate cross-pollination (sapromyiophily). However, experimental studies of the pollination and mating biology of T. chantrieri in China cast doubt on this hypothesis by demonstrating that most seed produced in populations is the result of autonomous self-pollination.